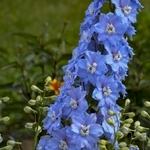 Delphinium 'Million Dollar Sky'. 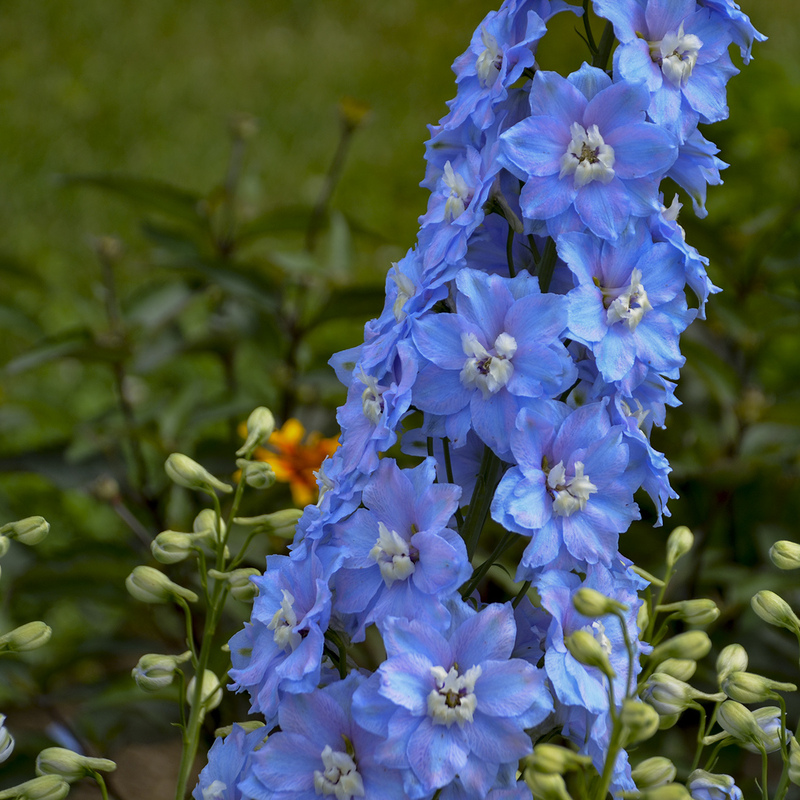 Large spikes of semi-double to double light blue flowers with a white bee have very erect stems. Strong stems carry the unusually large blossoms above the dark green, deeply dissected foliage in early summer and then again in late summer or early fall. 'Million Dollar Sky' is very heat tolerant as well as being cold hardy to zone 3.